Ophrys bertoloniiformis is very similar in size and appearance to Ophrys bertolonii except that the sepals and petals are nearly always green tinged with brown. The scientific name -formis means 'with the same shape'. Many authorities do not differentiate between several similar-looking orchids that have been given distinct names by some botanists. 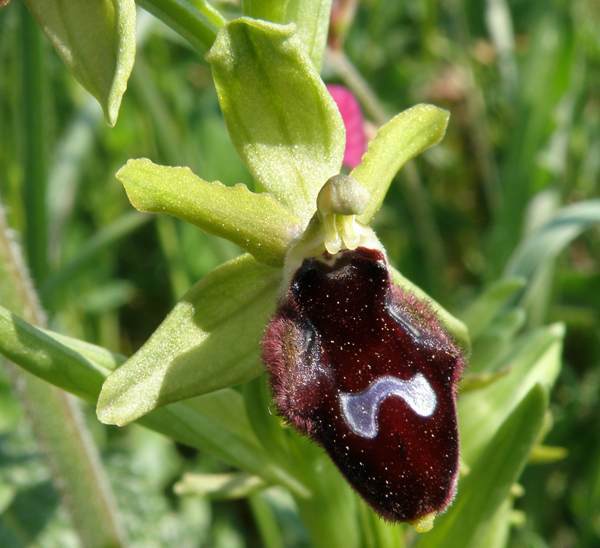 Included in this list are O. aurelia, O. balearica, O. promontorii and O. tarentina all of which are sometimes considered as Ophrys x flavicans. Different local forms of Ophrys x flavicans are reported to be pollinated by different kinds of bees. 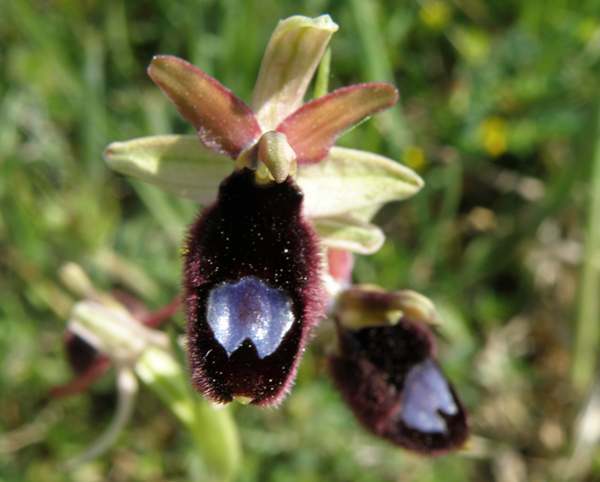 The orchid most commonly referred to as Ophrys bertoloniiformis is a plant that is endemic to Monte Gargano in Italy where it is actually more common and widespread than Ophrys bertolonii. 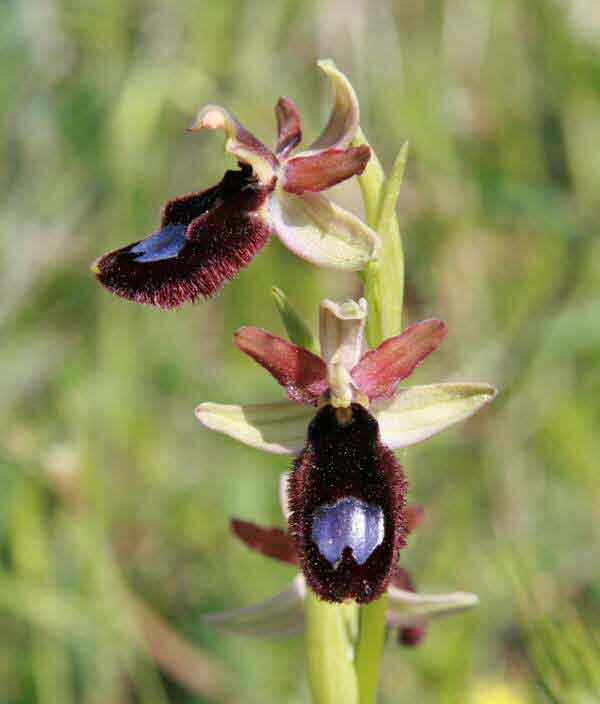 Ophrys bertoloniiformis grows in sunny positions in short grassland, roadside banks and in neglected olive groves. It is often found with Ophrys bertolonii with which it may hybridise. Ophrys bertoloniiformis flowers from late March to the end of April which can be up to three weeks earlie than Ophrys bertolonii. The specimens shown on this page were photographed close to Monte Sant'Angelo in the Gargano Peninsula in Italy in mid April.